First things first – Your Name is so Unique! Esko is a family name, it was my grandpa’s name. My grandfather was one of 13 kids. He grew up here in Richmond, Virginia next to a Russian family, and one of their children was named Esko. That’s where my great grandfather got the name for my grandfather and why my parents named me Esko. Your Role at Merit: I have worked for Merit for 10 years. I landed here because I worked for a company called Medsource Packaging for two years and we were acquired by Merit. I took some time off and returned to Merit six months after the acquisition. I came back as a purchasing and planning agent. Ten years later I now manage the Purchasing and Planning departments. I am responsible for scheduling all the production and for purchasing the raw materials for Richmond facility. What happens at Merit’s Richmond Facility? Merit’s Richmond facility is responsible for custom kits, sterile medical procedure trays that carry all the tools a clinician needs to perform a specific procedure. Merit has the unique ability to customize our kits to meet our customers’ needs . How have you seen the Merit Richmond Facility grow since you started? 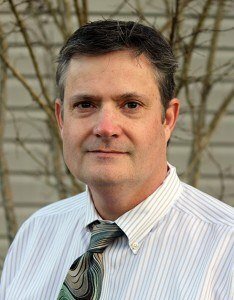 From the time Merit acquired Medsource through last year, sales at the Richmond facility have grown significantly. This demonstrates that the need for custom kits for physicians is obviously growing. We look at custom kits as a service provided for our customers and not just another product. It’s a service that makes their job easier by saving time and money for the clinicians. What do you like about Merit: I really like the people at Merit, we are a family group. Everyone works well together. A lot of the employees from Medsource are still here with me for the last ten years. I really enjoy working directly with the Merit sales representatives to look for solutions for their customers. After Work: When I’m not with my Merit family, I love to run. I’ve run several half-marathons. I’m also married with three kids: my youngest is a daughter, age 11; my middle is my son age 13; and my oldest is another daughter age 19. In its November issue, Interventional News reports that transradial access for Interventional Radiologists is gaining traction, as evidenced by the full room of attendees at a satellite symposium about the radial approach, sponsored by Merit Medical during the Cardiovascular and Interventional Radiological Society of Europe’s annual meeting in September. 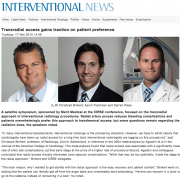 In the article, Interventional News interviews the three symposium speakers, all interventional radiologists who are experts in the radial approach: Dr. Christoph Binkert, a professor of Radiology in Zurich, Switzerland; Dr. Aaron Fischman, an Interventional Radiologist and assistant professor of Radiology and Surgery, Mount Sinai Medical Center, New York, USA; and Dr. Darren Klass, Interventional Radiologist, Vancouver Coastal Health, Vancouver, Canada. The three physicians outline the benefits to patients of radial artery access over transfemoral access and potential complications and data that shows a very low complication rate. They also comment on the need for radial-specific devices. In his commentary Dr. Klass discusses reasons why many interventional radiologists are hesitant to change to the radial approach and some of the reasons why these hesitations should be overcome. 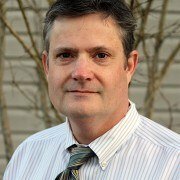 Finally, the article includes the top tips for starting a radial service, as provided by Dr. Klass. Read the full Interventional News article.